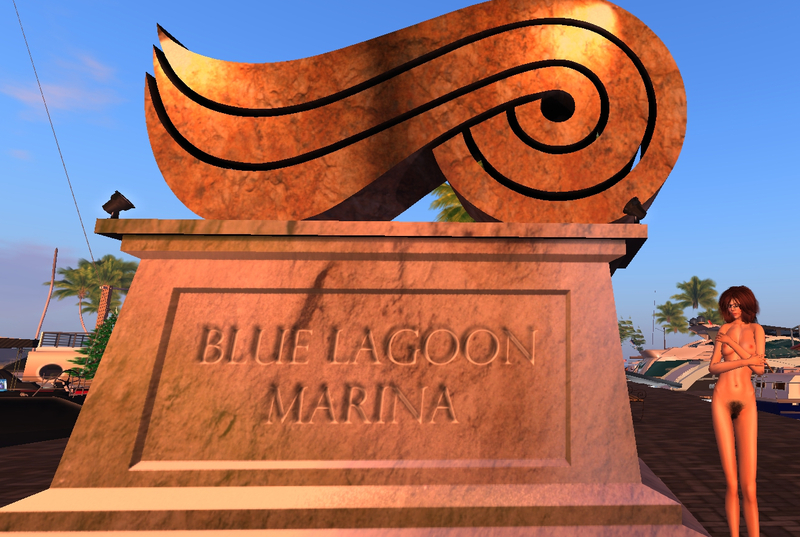 The Blue Lagoon Naturist Estate in SL has disappeared. Before you reach for the smelling salts regarding the loss of yet another SL naturist sim, all is not lost! BLNE are rebranding, as Amarylis Dream! The intention is to create a 20(!) sim world with sections dedicated to various parts of the real world. I teleported over to the new location (I’ll not provide a link just yet) and it’s a work in progress, with an international airport in construction, as are locations like ‘Greece’ and ‘Italy’. But it seems that by ‘world’, the creators of BLNE/Amarylis World want to create sections dedicated to Africa, Asia, the Americas, etc. Hopefully all within a naturist context! I think it would be truly wonderful if sims were divided up into different geographical locations and reflected naturism around the globe! In the meantime, a Blue Lagoon Marina survives, presumably as a stop gap until the new sims are up and running. I shall update you as I receive further information.